Naarden is now a small town in the province Noord-Holland, but was once an important fortified city. Its city walls and moat are in pristine condition. On the photo we see part of the moat and fortification. 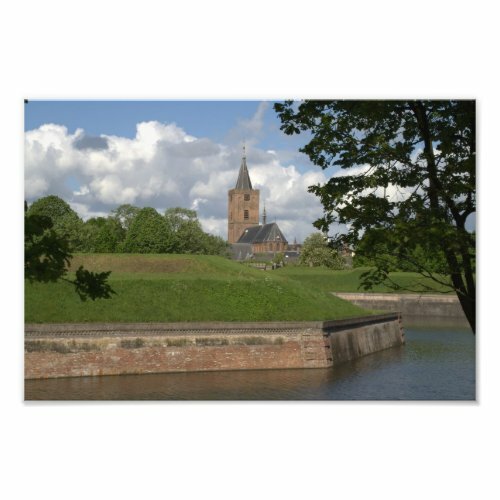 The background is dominated by the church of Naarden.